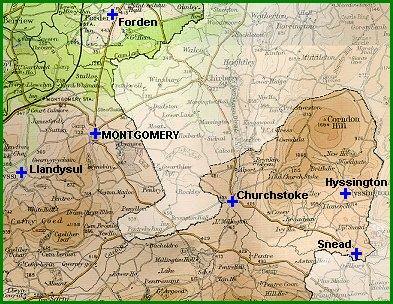 Montgomery was the county town of Montgomeryshire and the official life of the county was run from here. The courts were held here and the county gaol was built on the edge of the town. As the Victorian period went on, other nearby towns in the Severn valley increased in size and importance. Soon they overtook Montgomery in terms of trade and employment. Being so close to the border, these rural communities had always had close contact with Shropshire. Like the other communities on our website, Montgomery and the villages around it underwent changes during Queen Victoria's reign.